Your bridesmaids are your best friends who have agreed to assist you with the preparation of your wedding, with organizing the bridal shower and last but not least to stand by you in the day of your wedding celebration. * With mybridesmiadsgifts you are offered with a large selection of such gifts that can be either coordinated with your wedding theme or with your friends’ preferences. These gifts include robes, travel totes, compact mirrors, bridal jewelry, hand bags, sterling silver bags, and many other more. You are given the chance to shop around in an easy manner by category, theme as well as price. * Exclusively Weddings exists on the market since 1992 always being there with a wide selection of favors, party gifts and bridesmaid gifts all of them being offered with personalizing feature. You can see all the items inside the catalog presentation through which you can place your order as well. 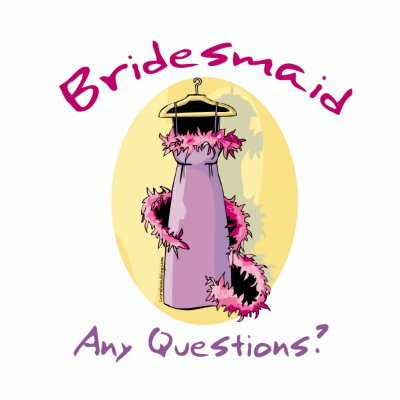 * At icestandard you find wonderful bridesmaid gifts and ideas that can help you decide on the specific gift that will satisfy both your friends’ styles and your budget. You can choose to have them personalized but you would have to give them additional days to process your request, this depending of course on the item you have ordered. To have the perfect service at your disposal you will benefit as well from the store’s 30 Day Money Back Guarantee policy on all the items they sell.